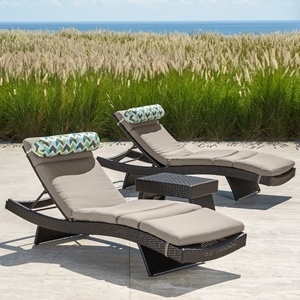 The Portofino Comfort Motion Club Chairs feature the same classic design of the Portofino line with an integrated 360-degree swivel and rocking motion for deep relaxation. 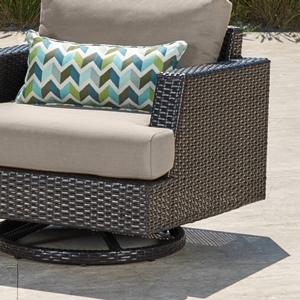 The durable aluminum frame features hand-woven SolarFast® wicker that will withstand the elements, providing you with years of comfort in your outdoor space. 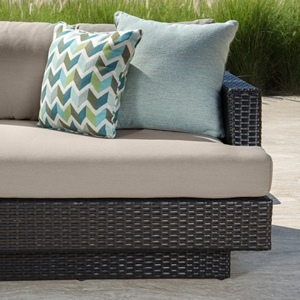 Sink in and relax with true deep seating featuring 6-inch thick Sunbrella® fabrics wrapped over high density cushions with accent toss pillows. 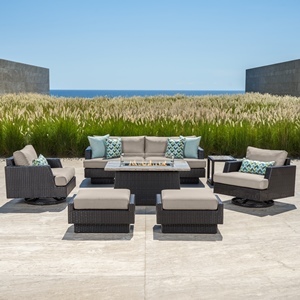 Set includes two motion rocker chairs with cushions and two accent lumbar pillows. 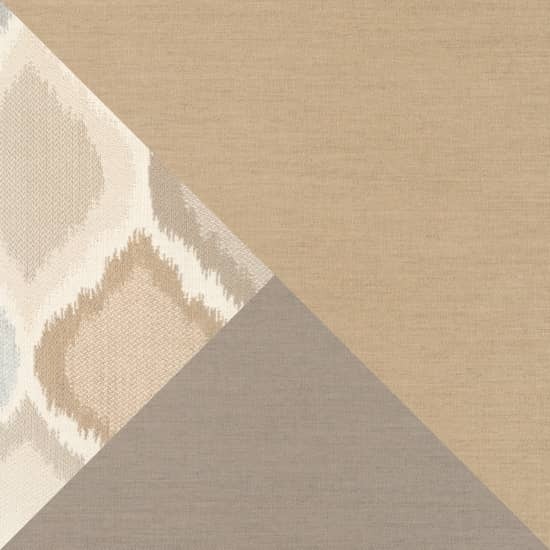 Designed to coordinate with the pieces in the Portofino Comfort Collection in Taupe Mist.